The great majority of species that lived on this earth have gone extinct. These extinctions are often explained by invoking changes in the environment, to which the species has been unable to adapt. Evolutionary suicide is an alternative explanation to such extinctions. It is an evolutionary process in which a viable population adapts in such a way that it can no longer persist. 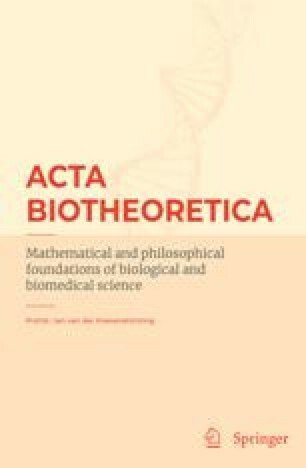 In this paper different models, where evolutionary suicide occurs are discussed, and the theory behind the phenomenon is reviewed. Metz, J.A.J., S.D. Mylius and O. Diekmann (1996b). When does evolution optimize? On the relation between types of density dependence and evolutionarily stable life-history parameters. Working paper WP-96-004, IIASA, Laxenburg, Austria. http://www.iiasa.ac.at/cgi-bin/pubsrch?WP96004.